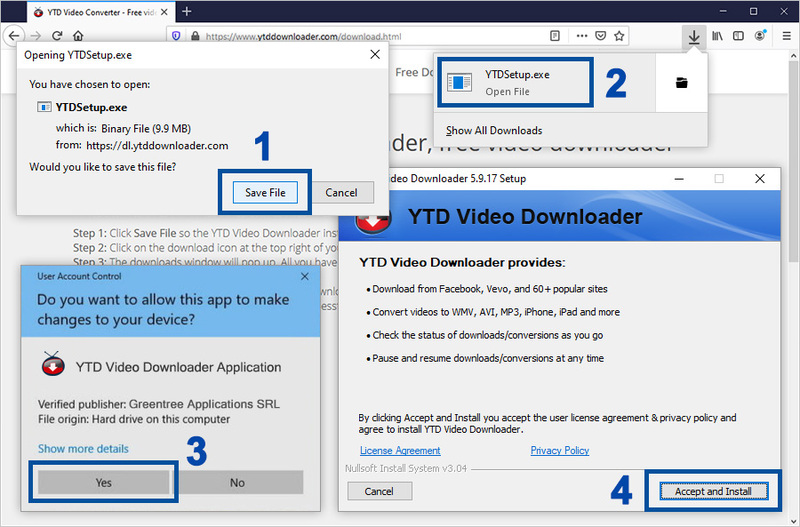 Step 1: In the bottom left corner of the screen you'll see the download bar. Click on the YTDSetup.exe item. 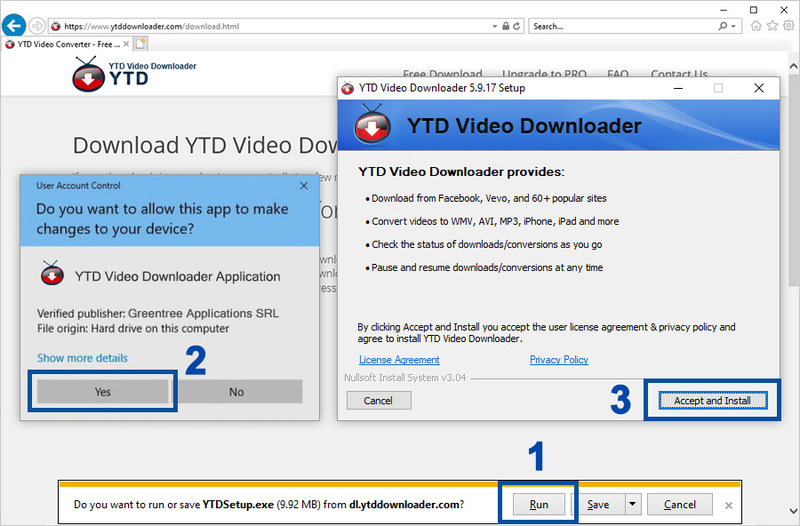 Step 1: Click Save File so the YTD Video Downloader installer download can begin. 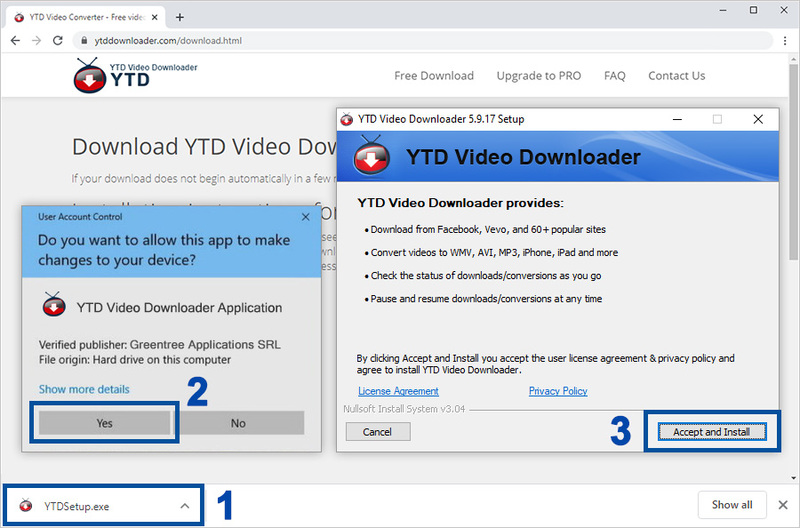 Step 4: Press Yes in order to start the YTD Video Downloader product install.